Spray 3- to 4-quart slow cooker with cooking spray. 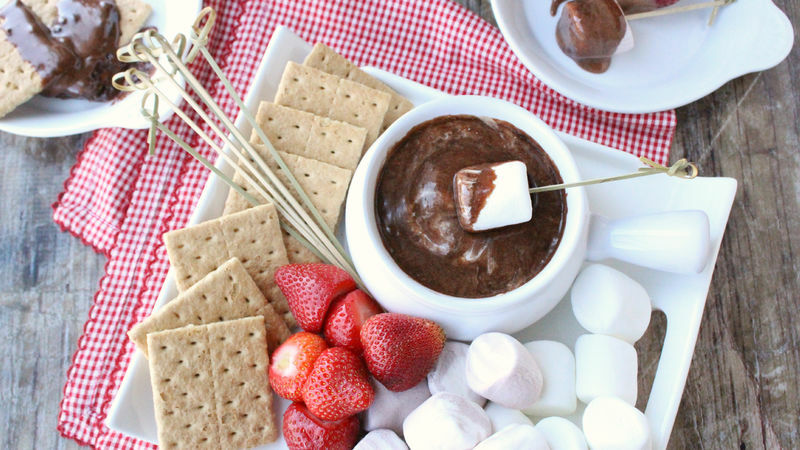 Place chocolate chips and marshmallows in slow cooker. In small bowl, mix heavy cream and vanilla. Pour into slow cooker, and stir together. Cover and cook on Low heat setting 1 1/2 to 2 hours, stirring halfway through. Serve with choice of dippers. Have fun trying a variety of fruits to use as dippers. Got leftovers? Warm them up later for a delicious ice cream topper!